A new smart app designed to improve the reading ability of people who have suffered a stroke provides 'significant' improvements, a UCL study has found. Developed by the Aphasia Lab (UCL Institute of Neurology), iReadMore provides computer-based reading therapy using written and spoken words and pictures, and aims to improve word-reading speed and accuracy. Stroke patients typically need around 100 hours of Speech and Language Therapy (SaLT), to see a marked improvement; however, the NHS only provides around 12 hours. The UCL app will enable patients to have limitless hours of SaLT and researchers aim to make it available for general use. The trial, published in the journal Brain, involved 21 chronic stroke patients, with central alexia, which is an acquired reading disorder that also affects speech and comprehension. Participants used the iReadMore app for two, four-week blocks (each block comprising 34 hours). Their reading ability was measured before, during and after the trial, which was funded by the Medical Research Council. iReadMore contains a large number of 'trained' words, which are regularly repeated during the therapy. It also contains 'untrained' words, which are matched for difficulty, but patients do not practice them. This allowed researchers to assess whether there was item-specific learning (when only trained words improved) or a general learning effect (when both trained and untrained words improved). On average iReadMore training resulted in an 8.7% improvement in patients' reading accuracy for trained words, with some individuals improving by as much as 25%. The speed at which patients read the words also increased. There was no effect on untrained words. Follow-up tests three months later showed the improvements for trained words were largely maintained. During the iReadMore trial a second intervention was also investigated, which used transcranial Direct Current Stimulation (tDCS). Here a small current is applied via a patch place to the left side of the forehead to stimulate neural plasticity in the underlying brain. The effects of tDCS were apparent on both trained and untrained words, but the effect size was considerably smaller, averaging 2.6% improvement in accuracy across the participants. Lead author Dr. Zoe Woodhead (UCL Institute of Neurology and University of Oxford) said: "Strokes often cause damage to left side of the brain, which is important for reading, speech and comprehension. "What this study shows is that regular practice with this reading therapy significantly improves people's ability to relearn and remember words which we all familiar with. "In addition, the electrical stimulation (tDCS) further improves a stroke patient's ability to read, but the effect is smaller than the iReadMore therapy." 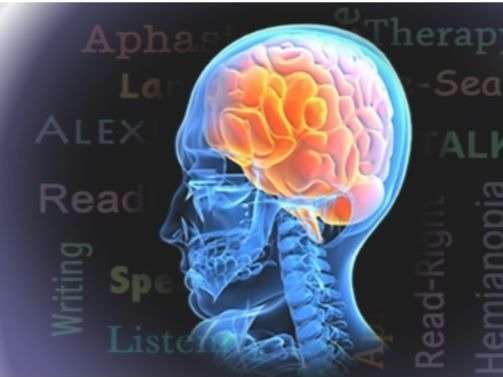 Central alexia is the commonest type of acquired reading disorder in adults and is part of a generalised language disorder known as aphasia, which is most often caused by stroke. In the UK, there are more than 350,000 people with aphasia and around 260,000 of these will have central alexia. Alex Leff, Professor of Cognitive Neurology, (UCL Institute of Neurology), says making the app publicly available could radically improve stroke patients' outcomes. "Following a stroke, patients get around four hours of speech and language therapy in hospital, and in the following weeks the NHS provides, on average, 8 hours in the community. "While standard speech and language therapy is effective, patients need around 100 hours to significantly improve, so at least six times more than is currently provided by the NHS. "By making the iReadMore app publicly available, it means patients will be able to have therapy as often as they want, and gain steady improvements. "The application is intuitive and adaptive. The training gets harder for patients as reading improves, ensuring they have incremental improvements at a rate suitable for them."